Red Ochre is pleased to be able let you know that we have recently succeeded in winning two capacity and development building contracts. Through these programmes we are able to help assist entrepreneurs and social entrepreneurs develop their skills, capacity and enterprises. This programme aims to develop the internationalisation of women-led small and medium enterprises (SMEs) in London. It is delivered on behalf of UEL and funded by the European Regional Development Fund (ERDF). Click here for further details, to check for eligibility criteria and to sign-up. Red Ochre is a delivery partner in this two year Olympic legacy support programme administered by East London Business Place (ELBP). 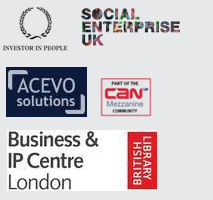 Its aim isto support a diverse range of London SMEs, focusing on those based in East London, to take advantage of new market opportunities through the provision of practical advice and support to enable them to build the capacity needed to win contracts within larger supply chains. Click here to read more, check for eligibility criteria and to sign-up. Published: April 8, 2013. Categories: News.